If there is a future for large high-performance petrol engines then this is it. The latest Mercedes-Benz SLK 55 AMG has what is being billed as the world’s most fuel-efficient V8 engine. The problems of poor fuel efficiency and high emissions are reduced by shutting off one bank of cylinders when they are not required. 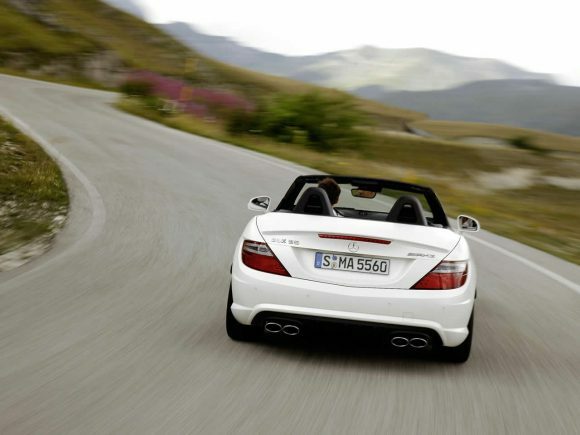 This renders the SLK AMG a 2.7 litre four cylinder car when driving slowly or at a constant cruising speed. While that sounds simple, from an engineering point of view it is probably very complex. Mercedes do seem to think they’ve cracked it though and the figures speak for themselves. The only downside we imagine is a lack of V8 rumble when posing around town. As you would expect there is plenty of technology onboard to help keep the car on the road and give you the option of a sporty or comfortable set up. 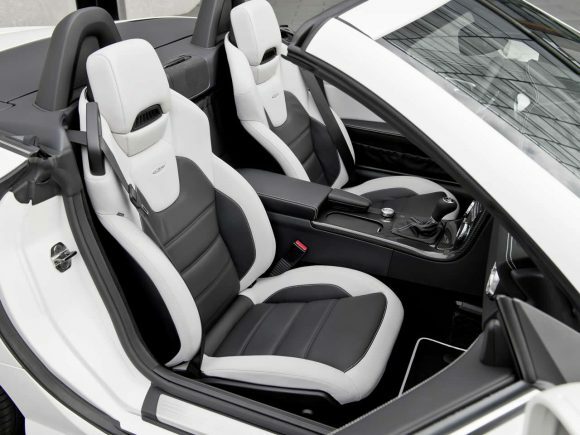 There is also a range of luxuries available as options that you might have expected as standard on this top of the range car. 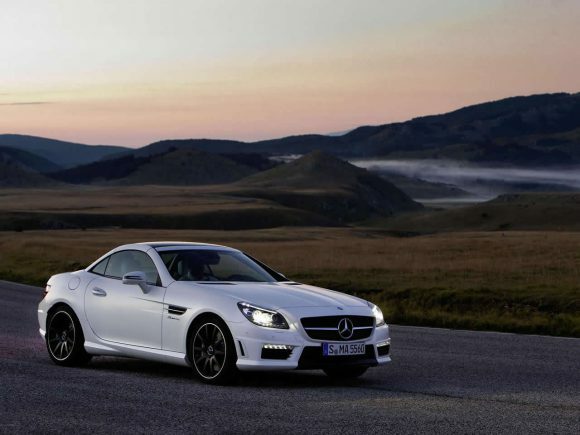 As part of the third generation of Mercedes SLK the 55 AMG represents the pinnacle in performance and while the new styling may not suit all tastes it is at least more grown-up looking than the previous model. 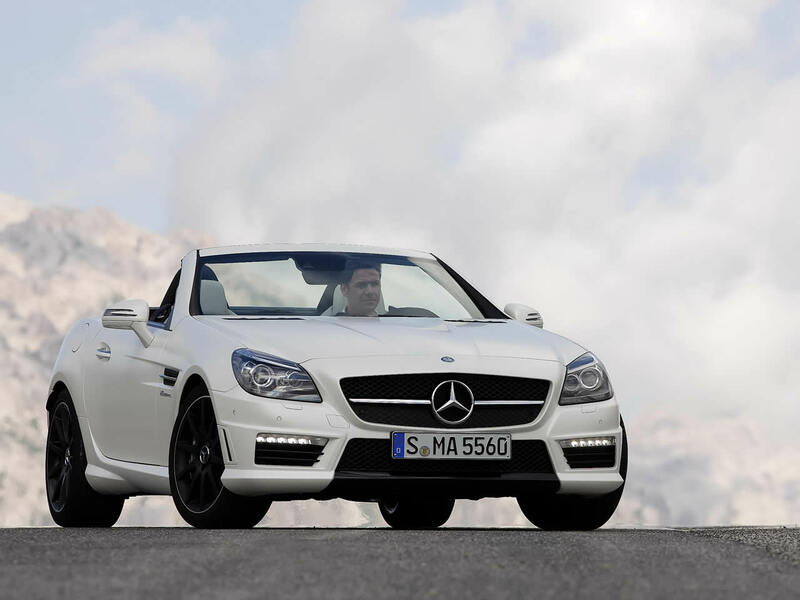 Do you drive a Mercedes-Benz SLK 55 AMG? Would you recommend it to others? This Mercedes-Benz already has one owner review, continue the conversation and let us know what you think of the car. This new 2011 Mercedes SLK looks really fresh and follows the design updates seen across the rest of the Mercedes Benz model ranges. The new grill like a mouth, the headlights like eyes and all the all round squaring off makes this new shape Mercedes Benz SLK look amazing out on the open road. Now with a more manly appeal I am confident that Mercedes Benz will see more male drivers especially of the bigger engines and an overall increase in sales, nice to see they have kept the metal hardtop and resisted the soft rag tops that so many other manufacturers prefer, well done Mercedes Benz.